HTC is also targeting dual sim market and the company knows the potential of such markets and so HTC has announced the launch of HTC Desire 600, a dual sim android phone supporting dual standby. This phone is capable of dual active features i.e. both the sim cards remain active at the same time even though one sim card is busy on a call. This new android phone is better in terms of specifications compared to Samsung’s Galaxy Win which is selling in India under the name of Galaxy Grand Quattro at price of about Rs. 16,500. HTC Desire 600 and Galaxy Win, both are medium-range dual sim devices featuring the same quad-core chipset inside, but don’t get fooled by ‘quad-core’ term as the chipset powering these handsets is of Qualcomm’s Snapdragon 200, which is based on Cortex-A5 architecture. However, the speed of this quad-core processor is 1.2GHz whereas in Galaxy Win, the speed is 1.5GHz. There is 1GB of RAM inside. 8GB of internal memory is also there, but there is no memory card slot, which is kinda disappointing about Desire 600. 8GB of internal storage is very limited in present world and this puts limit to the scope of full utilization of the handset. So, storage capacity is another aspect where Galaxy Win really wins as it supports external memory card as well. WiFi, bluetooth, 3G on single sim card, A-GPS, etc. are also present. Presence of NFC is market-dependent. The battery is of 1860mAh, which is lesser than Win’s 2000mAh, but the battery backup time is dependent on the handset and usage patterns so we can’t really declare one as the winner until we personally review both the handsets. The display of Desire 600 is of 4.5-inches and sports qHD resolution i.e. 540*960 pixels. This is higher than that in Galaxy Win (wvga resolution). And so the pixel density is also higher in 600 at 245ppi compared to Win’s 199 ppi. On the camera aspect also, HTC phone wins as it contains 8 megapixel rear camera with LED Flash and 1.6 megapixel front-facing camera. The camera can not shoot Full HD Videos, but 720p videos. On the other hand, Samsung’s phone just has 5mp rear camera and 0.3mp front camera. 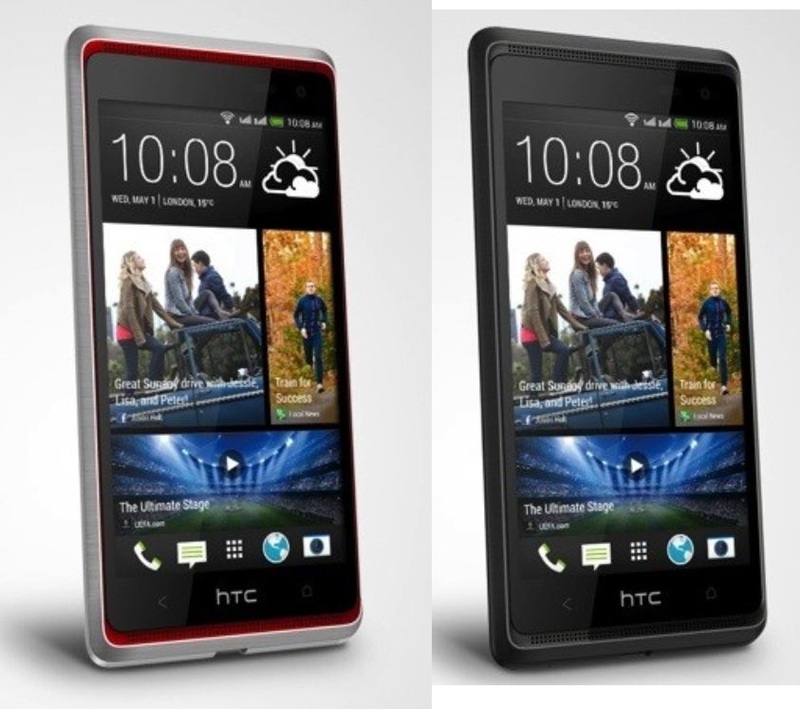 Another touted feature of HTC Desire 600 is its front stereo speakers with built-in amplifier, called as Boomsound. The sound is enhanced by Beats Audio technology further, thereby promising great audio performance on loudspeaker as well as in earphone. 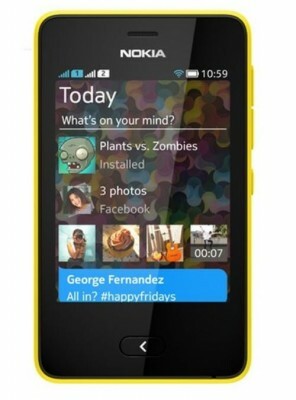 On the software side, it comes with latest Android 4.1.2 JB OS, alongwith Blinkfeed homescreen and Sense UI. 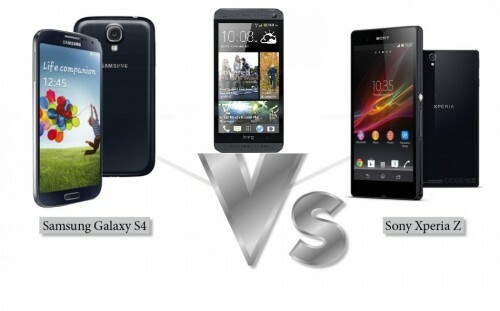 The handset really looks attractive and will certainly appeal to dual-sim users. 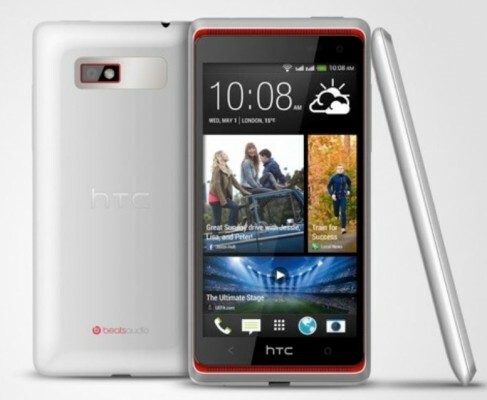 If the price of HTC Desire 600 is set reasonable and competitive, it may score good sales numbers. The price is not revealed yet, but the release date of HTC Desire 600 is scheduled starting early June in Russia, Ukraine and MEA. We hope it to be released in India soon as India is also prominent market for dual-sim smartphones. 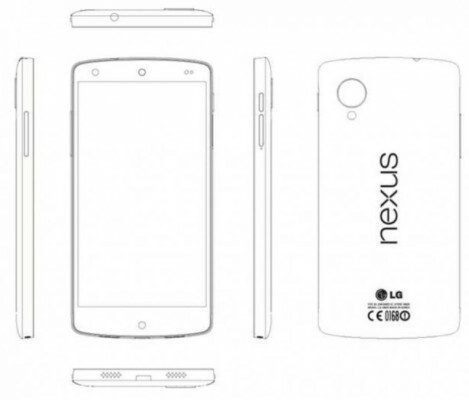 We expect the price to be around 18k INR in India. Except for the limited storage capacity and lack of memory card slot, HTC Desire 600 beats Samsung Galaxy Win (Grand Quattro) on all major fronts. We don’t really understand why HTC didn’t provide memory card slot in this phone when it has just about 8GB of internal storage. Moreover, the user-available storage capacity will be lesser. Put your opinion in comments!